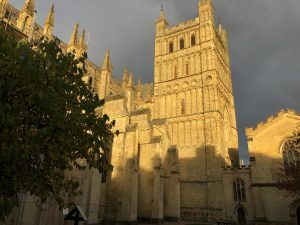 The 2019 final will take place at Exeter Cathedral on Saturday 22nd June. For more information, see the local website. Congratulations to Ancient Society of College Youths, Birmingham, Bristol, Cambridge, Leeds, Melbourne, Oxford, St Paul’s Cathedral, and Society of Royal Cumberland Youths who all qualify for this year’s final. The top three teams in each eliminator will join hosts Exeter in the final on 22nd June 2019. There will be a different test piece for the final.